Krystal Pearson L.Ac., Licensed Acupuncturist & Herbalist, graduated from the University of California Santa Barbara as a Regent Scholar with a Bachelors of Science Degree in Biopsychology. After graduating she worked for a few years as a Research Associate in the Instrumentation Chemistry Department of a Biotechnology firm in Carpinteria. During this time she worked on developing a diagnostic instrument to speed up the diagnosis of cancer and other illnesses. She then attended the Santa Barbara College of Oriental Medicine and graduated with a Master’s Degree in Oriental Medicine and Acupuncture. She went to China in March and April of 2009 and worked and went through training at the prestigious China Beijing International Acupuncture Training Center, WHO Collaborating Center for Traditional Medicine, Institute of Acupuncture and Moxibustion, China Academy of Chinese Medical Sciences. She completed specialty trainings in Gynecology, Neurology, Internal Medicine, Orthopedics and Dermatology while in China. The seminar lecturers are famous Chinese specialists who generally have lectured about and practiced their fields of study for over 30-40 years. The hospitals she worked at were Chinese government operated hospitals that integrate the latest advanced conventional machine technology and traditional Chinese medicine modalities. The organizer of Advanced China Seminar/Training, Dr. Zheng, had been a Vice Director of the Beijing International Training Center for many years prior to relocating in California. Krystal Pearson L.Ac. was in Bali for the first two weeks of August 2010 treating local Balinese women and children. She received advanced training on specific OB/GYN and Pediatric treatments according to Traditional Chinese Medicine such as Shon-Ni-Shin. Shon-Ni-Shin is a Japanese technique using various tools to stimulate the acupuncture points and energetic meridians. It is a great treatment for children because it is a form of acupressure; thus, the skin is not punctured with a needle. The OB/GYN treatments focused on menstrual and pregnancy related issues such as morning sickness, edema and hypertension. The pediatric treatments focused on fevers, respiratory infections, digestive problems, hyperactivity and autism. She also studied acupuncture, herbal and homeopathic treatments for postpartum ailments such as lactation problems, pain and depression. Krystal Pearson graduated from a nine month Kundalini Yoga Teacher Training Program in Los Angeles at Yoga West in June of 2011. She graduated from Level 2 Mind & Meditation Kundalini Yoga Teacher Training in July of 2014. She incorporates the techniques & technologies from the ancient practice of Kundalini Yoga such as breath work (pranayama), yoga asanas (postures), and yogic diet into her Traditional Chinese Medicine practice. 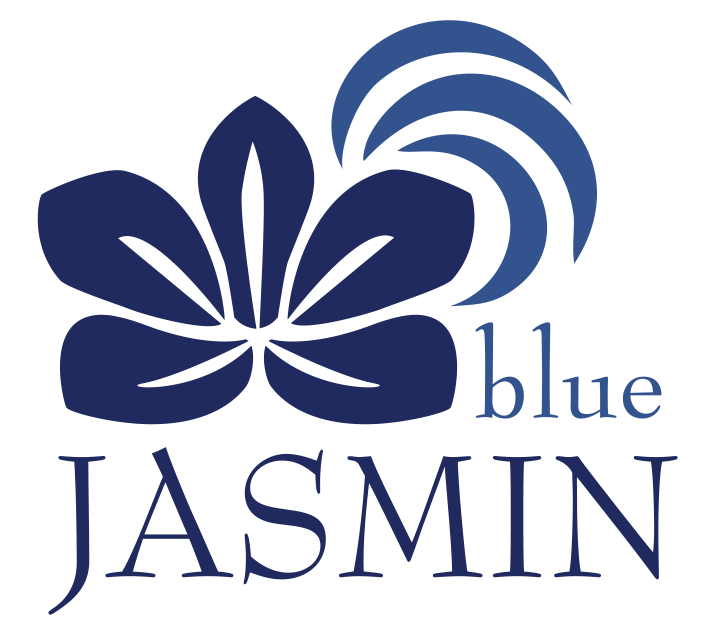 I love getting acupuncture at Blue Jasmin. I walk into the calm, relaxing, peaceful environment, steal some ginger candy and get my amazing treatment...it's like a mini vacation. After my treatment I feel so calm and relaxed and my anxiety stays at bay for a few weeks! Which is amazing for me. Krystal has also suggested different herbs to take during those high pressure time...Calm Spirits, works wonders! Krystal travelled to an ashram in Rishikesh, India for a couple of weeks in November of 2011 for a Kundalini yoga festival celebrating 11.11.11. On this trip she did Kundalini Yoga & Sadhana by the Mother Ganga River each morning at 4am with Guru Singh and Gurmukh. She has been practicing Kundalini Yoga for the past 11 years and Hatha Yoga since she was 8 years old. Krystal has also completed advanced trainings in Esoteric Acupuncture with Dr. Mikio Sankey in both Los Angeles & Colorado. Please see https://esotericacupuncture.com for more information on this sacred practice. Krystal has completed the following advanced trainings integrating essential oils into Traditional Chinese Medicine with Peter Holmes: Aroma Acupoint Therapy Level I & II, Using Essential Oils in Chinese Medicine, The Treatment of Mental-Emotional Disorders with Essential Oils and The Treatment of Gynecological Disorders with Essential Oils & Herbs. She uses both Lux Amare locally created, custom organic essential oil blends & mists and Snow Lotus organic essential oils with all of her sessions. She is also very grateful to have the complete line of Lux Amare essential oil products at the office available for purchase. Krystal is also attuned to Usui/Tibetan Reiki Ryoho First & Second Degree and will be offering Reiki as an add-on to her acupuncture sessions beginning in January 2016. Krystal completed the 100 hour ACROVINYASA Level One yoga teacher training in Bali with YogaBeyond in April 2016. She is very excited to be sharing this fusion of vinyasa, inversion training & AcroYoga! Krystal also has completed the 100 hour Primary Series Ashtanga Yoga Teacher Training with the lovely Tim Miller in June of 2017. Krystal is grateful to have the opportunity to inspire others to live a more meaningful life, to find more joy and presence and she loves teaching others how to connect more deeply with their soul & blissful nature. Please keep up-to-date on current events such as retreats, Kundalini Yoga classes, Ashtanga Yoga classes, Gong Baths, ACROVINYASA Yoga classes and Community Acupuncture Aromatherapy Gong Baths by signing up on the email list. Thank you for your interest! Kundalini Yoga is different from any Yoga I've experienced. From the very first session I knew this was what my body needed. It's like getting an amazing massage for all your organs, tissues, and muscles. Thank you, Krystal, for introducing me to Kundalini, and for being a dedicated and inspiring teacher.